Cajun Sha Bebe Dolls Add Me! Beb's Place has been closes since January 2009 after Hurricane Gustave ripped part of the roof off. It was a great place when it was opened, but it's closed. I'm not editing anymore, because I have had this page since March of 1998. I like looking back at good memories~! I did enjoy making my dolls since 1991. Now that time has ended. WE, the people, are the SPIRIT of Louisiana. OUT of USA-- If you want all three books, email The Sha Bebe about shipping costs. You will save money ordering directly from me. Enjoy the rest of the web page below. CLICK the LINK above and JOIN us in MySpace. CLICK on MY NAME to ENTER MY Shop. Read and find out what the riddle about 11:11 Back to Seven means. "Eleven, eleven, back to seven, are the words we have to say. When the trouble makers come to take our happiness away. We look with blurred vision into a long mirror on a stand. It's the passage to make them go back, into their own land." You can order Book One, Two and Three from me on Etsy. Do you believe? --- is 88 pages with photos. 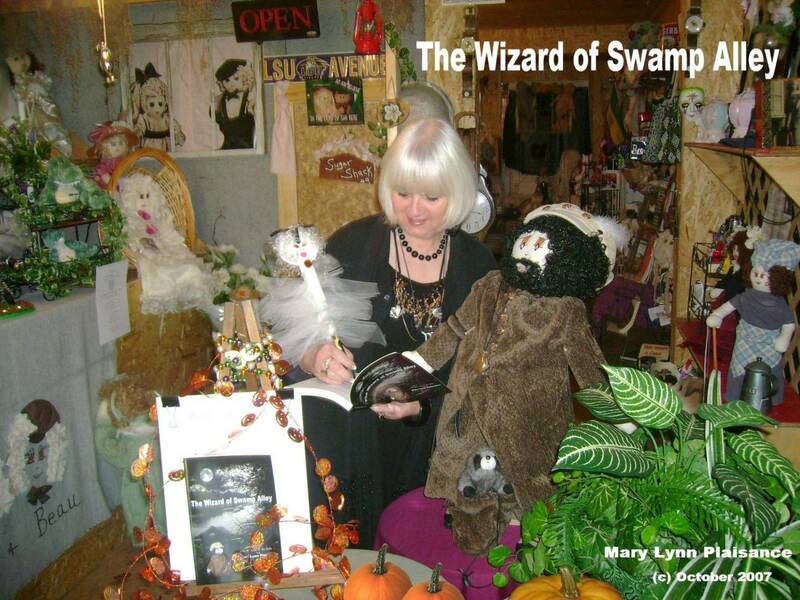 Cajun Fairies --- is 220 pages with photos. 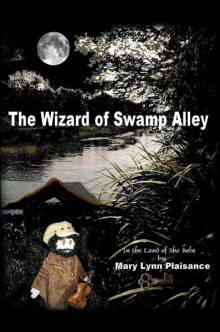 The Wizard of Swamp Alley -- is 216 pages with photos. 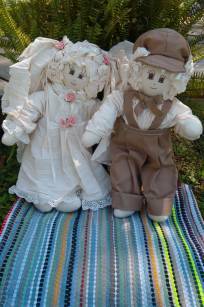 Louisiana is the Home of The Cajun Sha Bebe Dolls. Some people who have my dolls and/or book. You have entered, "The Land of Sha Bebe" and the "Cajun Fairies"
Photos for First Cajun Book Signing for "Cajun Fairies"
Join My Space for "Cajun Fairies"
This is Acadia, the Good Cajun Fairy. 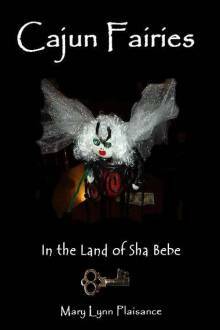 A wicked Cajun Fairy, Robes Pierre, takes over the spirit of the enchanted Land of Sha Bebe. He had that much power! No one ever had that much power to threaten the land. Never, since the beginning of time! All of the characters and the dolls are not themselves. How will the land get back to the enchanting ways in which it once was. Or will the once enchanted land be saved? And if so, who will save the land and restore the powers back to the enchanted ones? 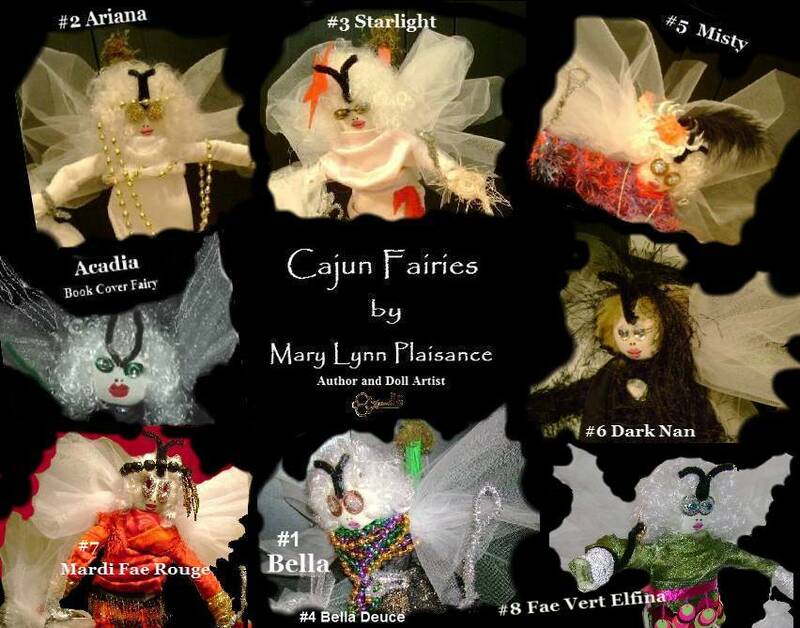 Will it be Acadia the good Cajun Fairy, Queen Faustina, Marie La Vie, Madame Plume, Madame Poulette? Will the sugar mill ladies group and do something drastic? 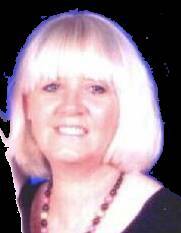 Or will Miss Betty Lou the school teacher come across and save the land? compared to the solemn settings of the first book. The first book set the CHANGE for the second book which will be much longer. Sha Bebe Fans stay tuned. Have a Fairy Good Day. All rights reserved. 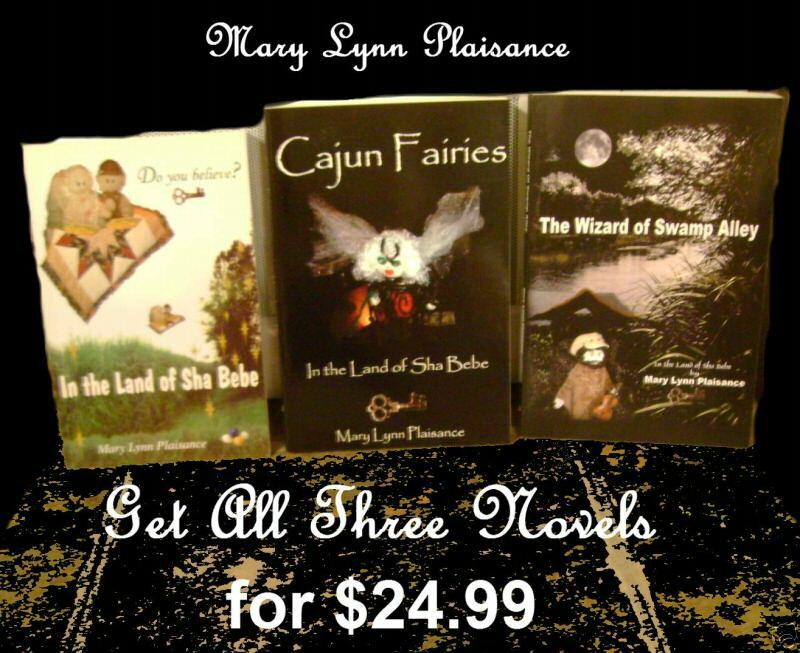 All characters and titles are protected by copyright law to Mary Lynn Plaisance. 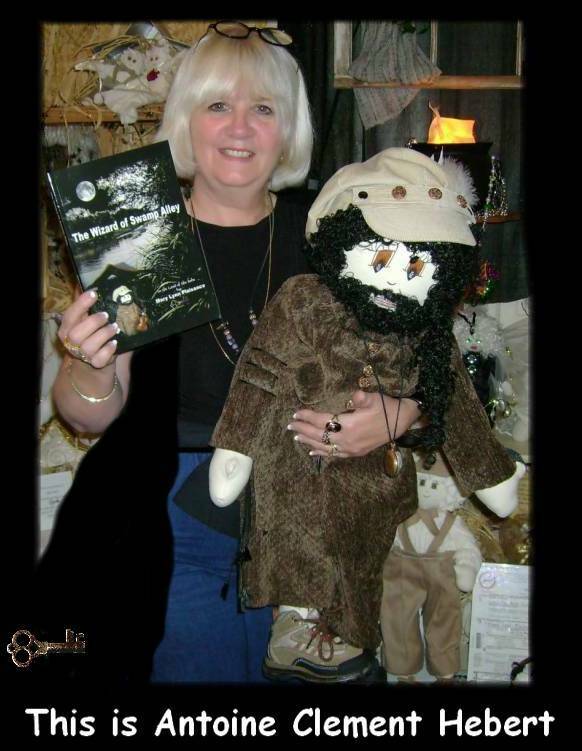 First article about the book, "In the Land of Sha Bebe"
Each doll is 18 inches tall and has a heart. You name your doll in the heart. Each doll is signed and dated. The dolls are collectibles and not meant for play. 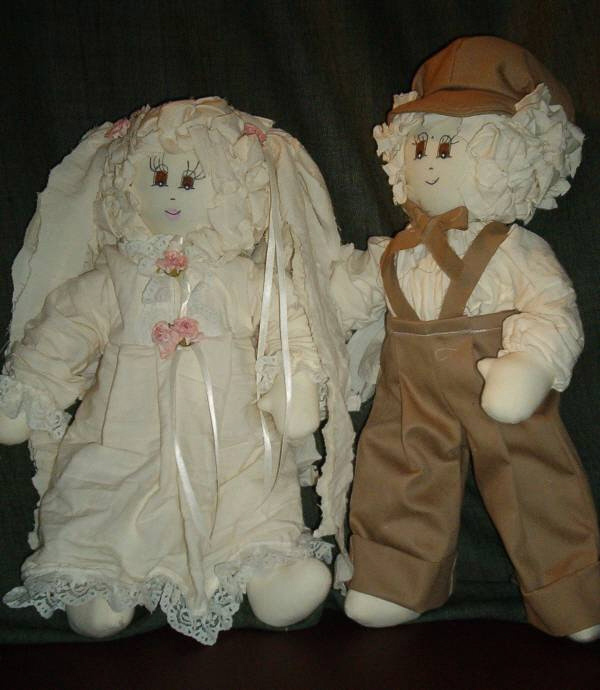 ONLY the 18" Boy and Girl Dolls will be in stock for ordering along with the book. Check what we have on Etsy. it will be listed on Etsy. Because of supply and demand, the character DOLLS won't be in stock for order! Each character is pictured in the book. 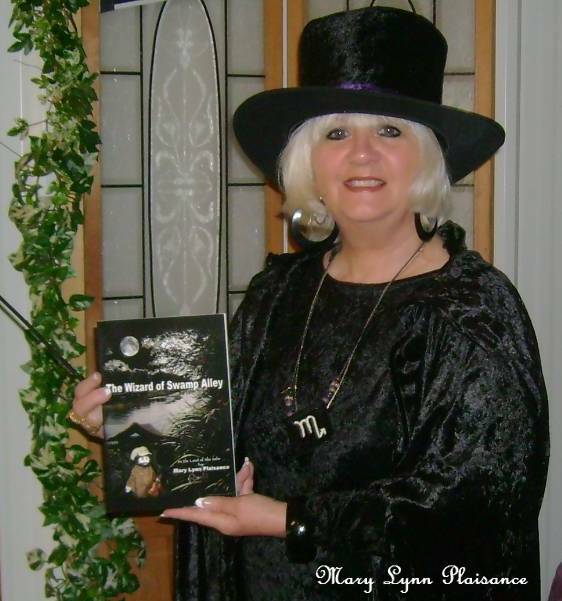 ALL characters from the Land of Sha Bebe and all rights are reserved to Mary Lynn Plaisance. The books have a lot of Cajun fairy tale magic to it~~! Destined to become the next Louisiana fairy tale classic. 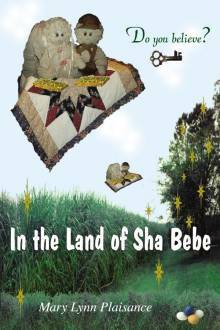 Join My Space for "The Sha Bebe"
BeB's Place is located in my hometown of Mathews, La. HAD to be placed on this page to lighten the load! Please Visit the WEB RING and VOTE sites!